We anticipate creating a community of people who Imagine Being - In a Life You Love. Sign up for our e-newsletter to become a member of the community. We will provide insights and information, as well as inspirational stories of those who share with us. On a regular basis, we will post new news on this page. 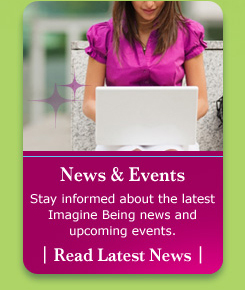 Welcome to the Imagine Being Community!